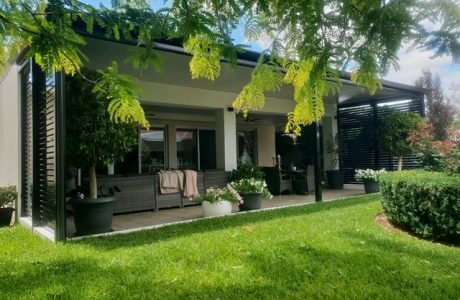 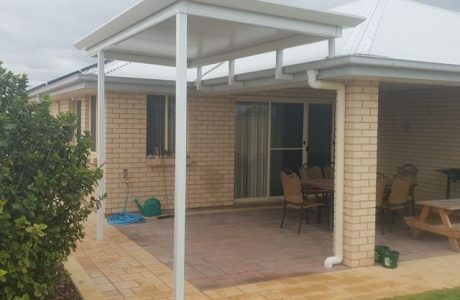 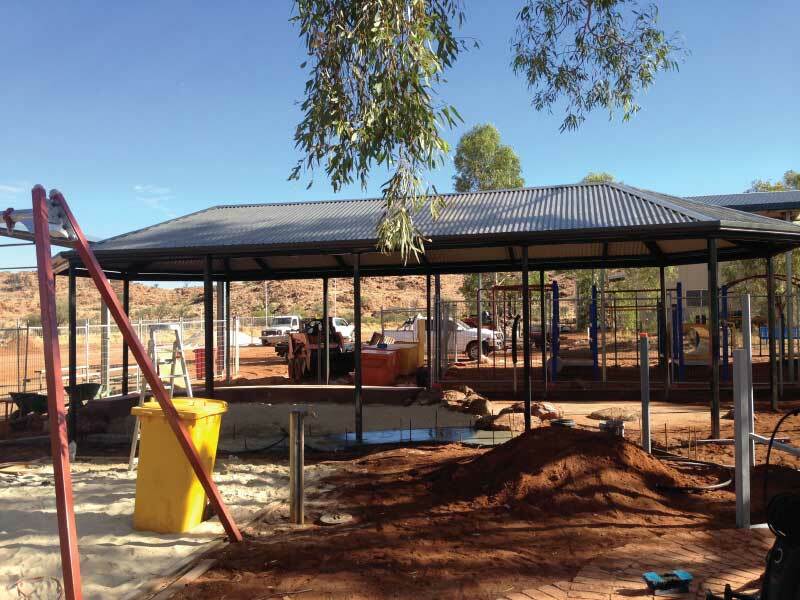 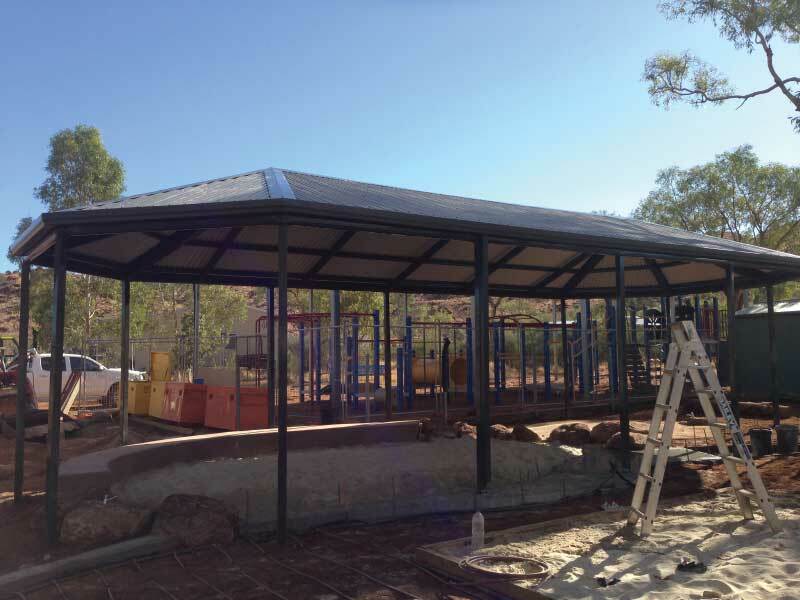 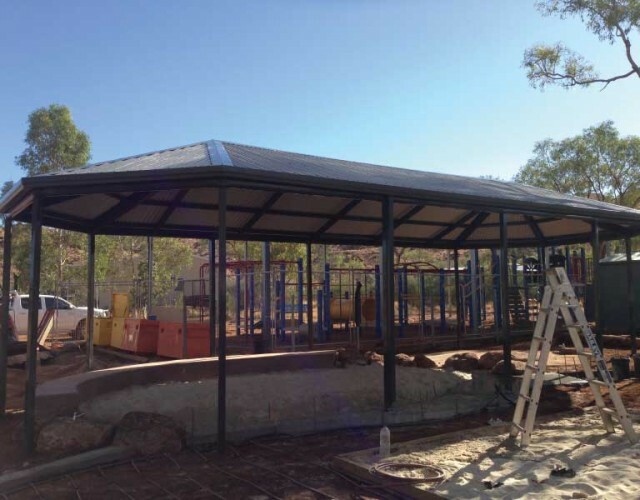 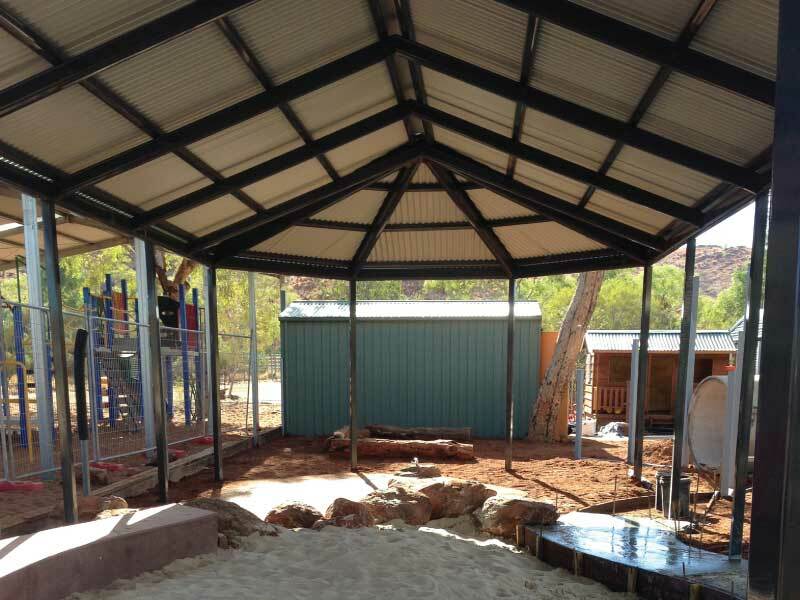 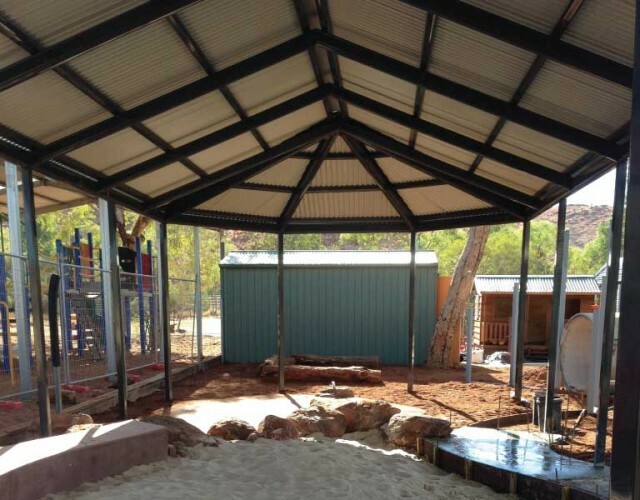 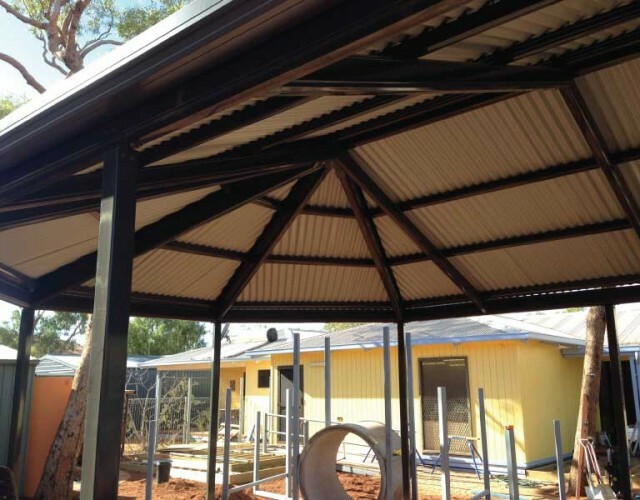 Our latest project was built in the community of Murputja on the APY lands located on the boarder of the Northern Territory and South Australia. 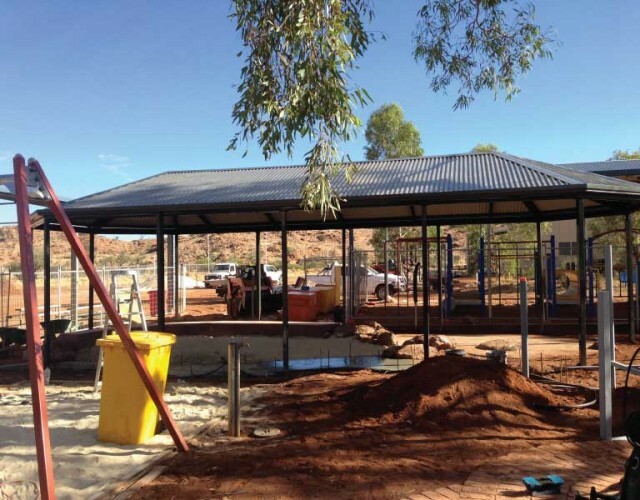 The Australian government is in the process of building new schools for the local indigenous communities in Central Australia. 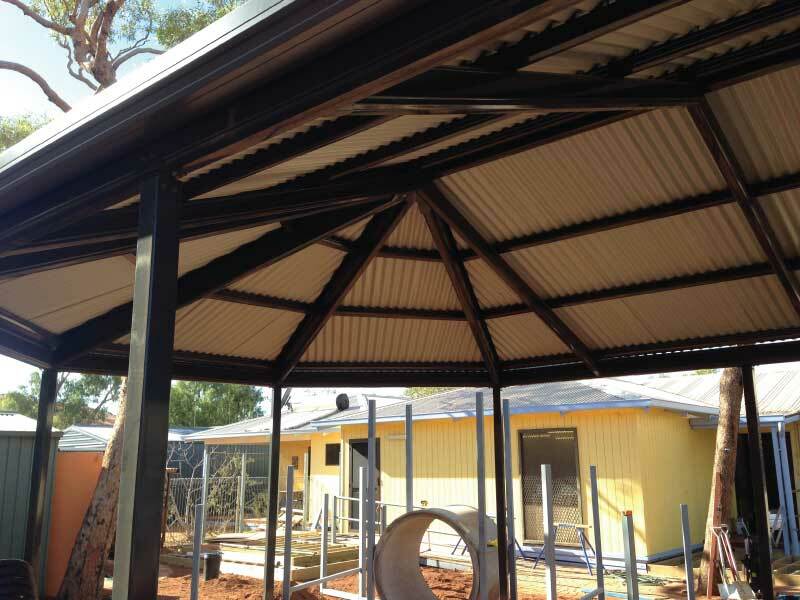 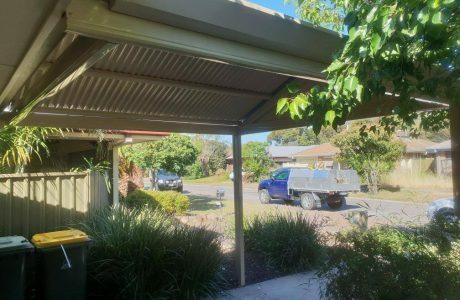 We were very honoured to be engaged by them to build this free standing gazebo end gable verandah. 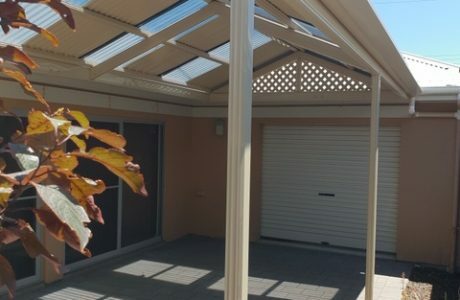 The verandah was 12.000 metres long by 6.000 metres wide in the colour, ‘Thunder’.